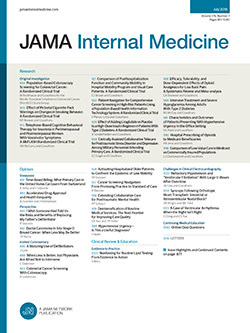 • To determine effective methods of promoting routine cancer screening, we randomly assigned 62 internal medicine residents to receive cancer screening reminders (computer-generated lists of overdue tests at patients' visits), audit with feedback (monthly seminars about screening, with feedback about their performance rates), or no intervention (controls). Half of the residents in each group also were randomized to receive patient education (patients received literature and notices of overdue tests). We reviewed a sample of each physician's medical records to assess performance of seven tests during 9-month periods before and after initiating the interventions. Cancer screening reminders increased performance of six of seven tests; audit with feedback, four of seven tests; and patient education, one of two targeted breast cancer screening tests. The results indicate that the cancer screening reminders strategy was the most effective in promoting the performance of routine cancer screening tests.